Learning How to Dance in the Rain ....: Out and About !!!!! 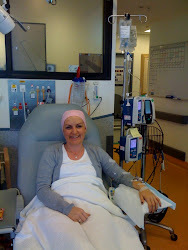 Well each day that passes this week I am thankful and joyful to leave the chemo train behind !!! What a relief!! I am still dealing with some after effects but all good as it will be their last innings with me - yeha!!!! I feel as if there is so much to share I'm not quite sure where to start ! My mind and body have been busy!! I surfaced out of the haze around lunchtime on Monday and am not looking back!! I shall come back to the last few days but today I went OUT !!!! Yes I left the farm to see life beyond hehe!! Mum and I had been talking with a friend about going to see the movie called The Help! I won't tell you too many details except to say see it!! We were thinking of maybe going next week and yesterday I was just looking to see when it started when I saw that it was advertised to screen today in the morning - one screening in 2 cinemas at the same time at a very discounted price. I thought this must have been a special prescreen deal! Never one to miss an opportunity - thought we should try and go! I wasn't sure how I would be today but thought worst case my mum and friend could go alone and I would give it a miss. I had been managing most of my side effects so far - the worst being another welt type itchy rash along my spine from the back of my head to the end of my back - very weird and annoying. But nothing an antihistimine didn't help at least!! So I went online and booked the tickets - we were all set!! Well what a giggle - later last night I was flicking through our local paper and just happened to see the movie adverts and saw that todays screening of The Help was infact a special seniors morning and it indeed included free morning tea for viewers!! It also said members could bring up to 4 guests. Hmm so I had just unwittingly gatecrashed a senior citizens event!!! The strange thing was that I hadn't seen anything about this on the online booking and it certainly hadn't stopped me buying the tickets!!! Then again with my chemo brain who knows - last month I paid the incorrect electricity provider a rather large sum of money!! Thankfully they paid it back! The worst part is that I clearily remember checking that I was doing it RIGHT!!! So much for that !! Anyway back to the movies!! I was sure they wouldn't boot out a scarf clad baldie who had made an honest mistake but thought I should investigate further! I looked up the senior card info and it was for people over 60 and offered all sorts of discounts etc!! Well the problem was easily resolved - we just signed mum up online for that and we were ready. I could be the guest!! So this morning arrived - I was still feeling tired but was looking forward to getting out!! Thought I could manage just sitting in the cinema!! Well we arrived just on time - there had been a few dramas and tears before leaving home - all mine - nothing serious just a bit emotional. We met our lovely friend and in we went to collect the tickets! The morning tea was long since over - large tables with trays of food were still standing etc. We entered our cinema and there in front was a lady talking to the audience about all sorts of shopping info etc. It was full - so much for staying away from crowds hehe!! We took our seats amongst the many and next seat numbers were being called and prizes given away - not your average movie screening for sure!! The movie didn't start at the scheduled time so we only ended up getting out after lunchtime! 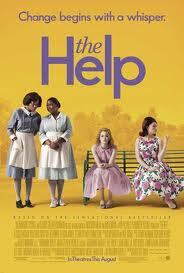 The story is about an aspiring writer who wants to tell the story of 'The Help' from the maids perspective! A tremendous movie that takes you through many emotions - I was thankful I had packed my tissues!! I was feeling a bit shaky after so needed something to eat - we did that then headed home. It had been great to be distracted from my sideeffects and I was glad I had made the effort to go. My legs are aching tonight and I am having weird tinglings again in my arms and legs etc - but it is worth it!!! So there we are - a day full of unexpected delights!! I haven't touched on the deeper aspects of the mind but since mine isn't firing well on all cylinders tonight I shall save that for another blog!!! !